Grow it, Draw it, or Stick it on. 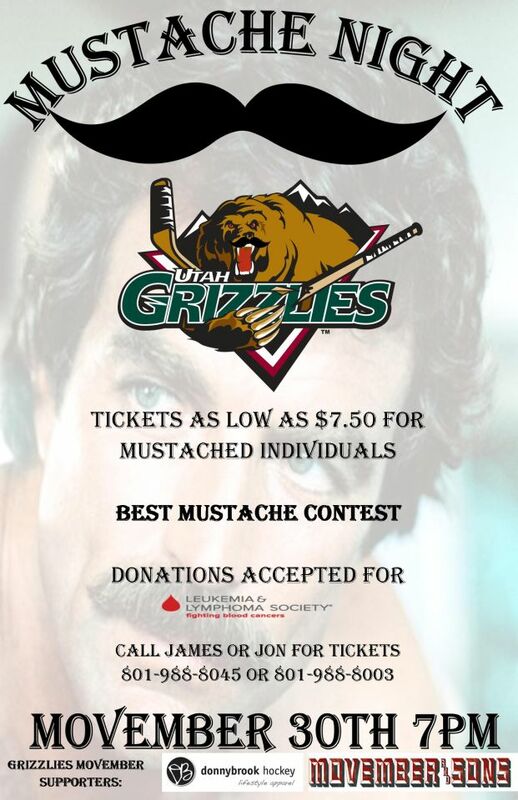 Wear your best mustache to the game on Friday for discounted tickets. Mustaches will be available outside the Maverik Center for $1 with all proceeds going to the Utah Leukemia and Lymphoma Society. See you Friday night with your best lip sweater.